The objective of this lesson plan is for students to learn that shapes are defined by their attributes—specifically the number of sides and angles they have. The key vocabulary words in this lesson are triangle, square, pentagon, hexagon, side and angle. 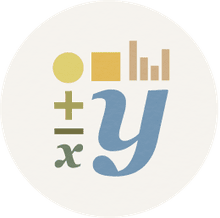 This lesson plan satisfies the following Common Core standards in the Geometry category and Reason With Shapes and Their Attributes sub-category. 2.G.1. Recognize and draw shapes having specified attributes, such as a given number of angles or a given number of equal faces. Identify triangles, quadrilaterals, pentagons, hexagons, and cubes. 3.G.1. Understand that shapes in different categories (e.g., rhombuses, rectangles, and others) may share attributes (e.g., having four sides), and that the shared attributes can define a larger category (e.g., quadrilaterals). Recognize rhombuses, rectangles, and squares as examples of quadrilaterals, and draw examples of quadrilaterals that do not belong to any of these subcategories. Have students imagine that they are triangles and then ask them several questions. What would be fun? What would be frustrating? If you were a triangle, what would you do and where would you go? Create four large pieces of chart paper with the headings “Triangle,” “Quadrilateral,” “Pentagon” and “Hexagon.” Draw examples of these shapes at the top of the paper, leaving lots of room to record student thoughts. Keep track of student responses in the lesson introduction on the four large pieces of paper. You will continue to add responses to this as you read the story. Read the story "The Greedy Triangle" to the class. Split the lesson over two days to go through the story gradually. 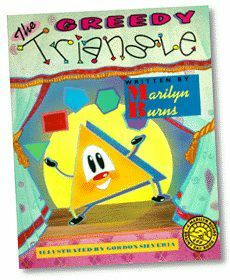 As you read the first section of the book about the Greedy Triangle and how much he likes being a triangle, have students retell sections from the story—what could the triangle do? Examples include fit into the space near people’s hips and be a piece of pie. Have students list more examples if they can think of any. Continue to read the story and add to the list of student remarks. If you take your time with this book to get lots of student thoughts, you will likely need two days for the lesson. At the end of the book, discuss with the students why the triangle wanted to be a triangle again. Does Teaching Kids to Draw Inhibit Their Creativity? What Is a Sample Student Lesson Plan for Writing Story Problems? What Is Area in Math?